What are you playing right now (classical)? I have both the XRCD24 and Speakers Corner vinyl formats, and they both sound superb. A really lovely set of transcriptions of Albeniz' guitar music to orchestra by Frühbeck de Burgos. The performance is pin-sharp and the recorded dynamics will blow your head off. Quite an amazing production for 1968. This is my favourite Zarathustra on vinyl. Thunderous opening, utterly sweet strings, stunning climaxes. A one-in-a-million performance. 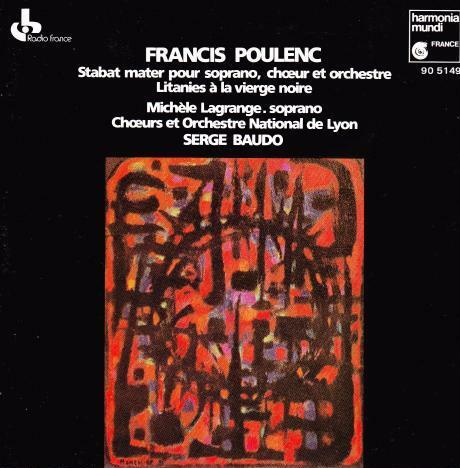 This is not in the 'main sequence' of the classical repertory, but I love Poulenc's choral music. The Stabat Mater sits right in the mid 20th century of new classical sounds, but not atonality. It is extraordinarily beautiful, and Michele Lagrange, the soprano, has a stunning voice in those 'moments'. Playing this while testing the superb new Caiman Mk. II DAC (see in my blog). However, don't judge it on Spotify, the CD is one of the best recorded in my entire collection. Track 2 Folia tells you loads about your system. Would you call that classical Martin ? Yes, I think it's a bit crossover but very mediaeval in influence. Is mediaeval classical then ? Classical is used as a generic and a time period, so it's confusing. Mediaeval predates the Classical period (which came after Baroque but before Romantic). However, they are ALL considered part of the classical repertoire. As with so many things it is almost anything someone says. Some modern stuff is "classical", certainly classic, but not "Classical"
Indeed, what would you call the soundtrack to Gladiator, for instance? It's written in the classical style. I have quite a few film sound tracks and can see a lot of them would be classical - small c not big C ? Some prog leans or stands into the classical area. I am lost by the multitude of splits and names of genre in modern music and don't even try to keep up. In all areas there's good, bad and indifferent - splitting a bit more add in wonderful and awful ! Don't get bogged down in genres, just listen and decide! I try to think in descriptive terms rather than periods - orchestral, choral, operatic....and so on. Yes, me too. If I think of Pergolesi's Stabat Mater or the one from Poulenc, they are both 'choral' in my mind (and both exceptionally wonderful) but they come from completely different time periods.